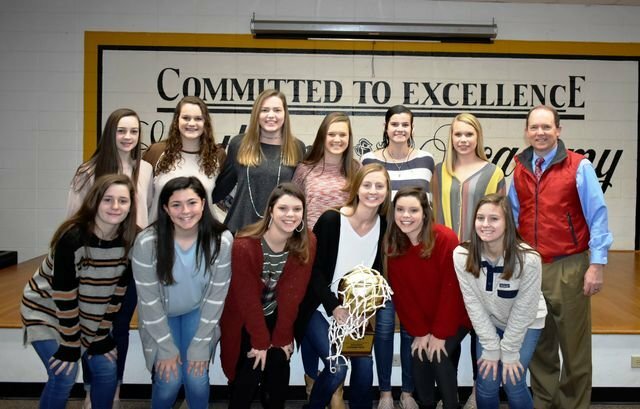 Pictured are the 2019 Lady Raiders with Coach Ty Kinslow showing off their Region Trophy. The 2018-19 Lady Raiders basketball team entered the region tournament as the #1 seed on Thursday night at the Storm Dome over at GSW. They defeated the #4 seed, Tiftarea Lady Panthers, 37-26. That win put them in the region championship game against the Brookwood Lady Warriors from Thomasville. The Lady Raiders would not be denied! They defeated Brookwood 44-30 and won their first region championship in the last 20 years. Congratulations to Head Coach Ty Kinslow, Assistant Coaches Melvin T. Kinslow and Eric Israel for an outstanding job that they've done working with this team. They have advanced to the Final Four! They will play Thursday at the Storm Dome at GSW. Game time is set for 8:00 pm. Come out and cheer on the girls as they continue their march towards the state finals!